Upgrade your PCI based Mac affordably. PCI to IEEE 1394 (FireWire 400) Card w/VIA Chipset. FireWire is one of the fastest peripheral standards ever developed, which makes it perfect for use with multimedia peripherals such as digital video cameras and other high-speed devices like hard disk drives and printers. FireWire is hot-swappable, meaning there's is no rebooting of a computer upon installation! With transfer speeds of up to 400 megabits per second, it's now easier to share data between devices! Don't let anyone kid you that USB2 is faster. 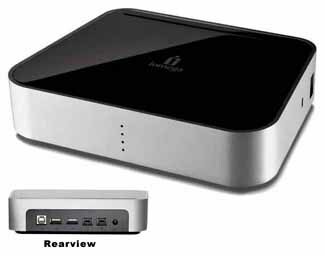 While the specs are higher Firewire beats them all in real world applications every time. This is a bulk packed item. Features: Two EXTERNAL Ports and one internal (all of the 6-pin variety), 400 Mbps max transfer rate (50 MB/sec max). Asynchronous and isochronous data transfer supported. Real-time critical applications (digital video) supported. Non real-time applications (printers, scanners) supported. We include the Kitchen Sink CD (9.99 value) which includes the Firewire drivers. OS8.6 or later required and an open PCI slot. REQUIRES: the ability to remove a phillips screw and insert a card in an open PCI slot and replace the screw. This is also a good upgrade for the Blue & White G3 units providing more reliable transfers than the built in. Not for PCI2.0 (PM6400/6500). Installation is simple, just plug in an open PCI slot and go for most Mac users. WAS $27.77 NOW $19.77 shipping included! Includes FREE Kitchen Sink CD with Firewire Drivers if needed. 12" Really Short Firewire cable. Clean up your desk! Eliminate clutter! $9.96 includes postage. Name Brand New Style Firewire/USB2 PCI Combo Card. Support OHCI, provides 1 each external 6 pin, 1 4 Pin Firewire 400 and 3 USB 2.0 compliant root ports. Good Oxford 911 chip for Firewire, Good NEC chip for USB2! Over current protection on each port. Use with all the latest DV Camcorders, hi-speed hard disks, DVD and CDRW recorders, keyboards, mice, hubs etc. 32Bit PCI Rev.2.1 Bus Interface. (Note: style may vary from illustration but all work perfectly in your Mac.) Free Kitchen Sink CD, a $9.99 value, includes drivers. Requires MacOS8.6 and up, OS9+ recommended, X tested through Beige G3 45F2 ROM version. Requires OSX for USB 2 speeds, but defaults to 1.1 in earlier OS versions. Works great in Blue and White G3 and above. High quality card, Headgap tested for compatibility! Like most USB2 cards OS9 sleep mode is disabled. Sleeps fine in X with most peripherals, if not simply disable sleep. Great upgrade for B&W, G4 & Early PCI G5 Towers. Add more ports! REQUIRES: the ability to remove a phillips screw and insert a card in an open PCI slot and replace the screw. Special Purchase $29.77 includes domestic shipping. Connect FireWire 400 devices to FireWire 800 ports on the latest computers that feature FireWire 800 such as the MacBook Pro "Unibody" models. No need to buy more connector cables... save money by using your existing cables. Simple, low profile, plug and play design. 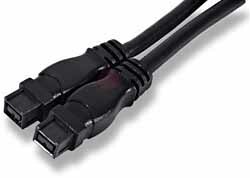 Works with standard 6-pin male FireWire 400 cables. IEEE 1394 compliant. Our $12.88 price includes shipping. Add 2 External (9 pin) +1 Internal (9 pin) IEEE-1394b Port and 1 External 6 pin & 4 pin IEEE 1394a Port to your desktop MAC. 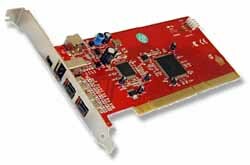 Support 32-bit and 64-bit PCI interface. PCI 2.2 Compliant. 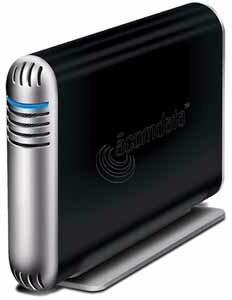 Backwards compatible with 1394A FireWire; it works with your existing equipment. 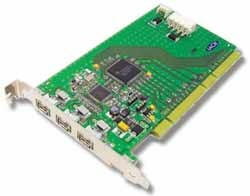 Fully Compliant With Open Host Controller Interface (OHCI) Requirements. Fully Supports Provisions of IEEE P1394b Revision 1.33+ at 1-Gigabit Signaling Rates. Fully Supports Provisions of IEEE 1394a2000 and 13941995 Standard for High Performance Serial Bus. Serial bus data rates of 100M bit/s, 200M bit/s, 400M bit/s, & 800M bit/s. Provides Three Fully Backward Compatible, (1394a 2000 Fully Compliant) Bilingual P1394b Cable Ports at up to 800 Mbit/s. Easy plug and play installation. No drivers required for OSX. Our $24.77 price includes domestic shipping.